These rules apply to Beat the Buzzer Cash Contest (“Contest”) conducted by Mainestream Media, LLC d/b/a WHTP-Hot 104.7(FM) (“Station”). In addition, the General Contest Rules posted at www.hot1047maine.comapply to this Contest. 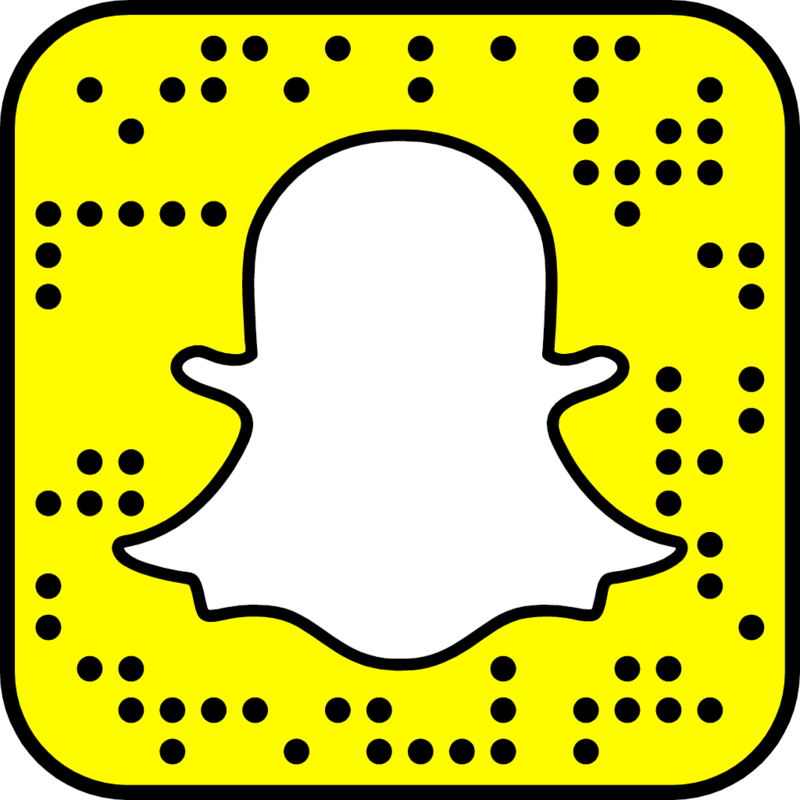 If there is a conflict between the General Contest Rules and the Rules for this Contest, the Rules for this Contest shall control. The Contest will begin Monday, March 25, 2019 and will end on Friday, May 17, 2019, or could be ended at any time as decided by the Station. To enter on-air, listen to the Station each weekday beginning on March 25, 2019 and ending on May 17, 2019 between the hours of 7:00am Eastern Time (“ET”) and 7:00pm ET for the announcement of the cues to call. There will be up to a total of two (2) cues to call each weekday and exact times will vary. Upon hearing the cue to call, the 10th caller (as announced on-air at the time of the cue to call) to the Station contest line at 207.807.1104 will be deemed a “Contestant” and have the opportunity to play the Beat the Buzzer game giveaway (the “Game”). The object of the Game is for the contestant to say “Stop” before hearing the “buzzer” sound effect. The selected contestant will then listen to a piece of audio that will announce a number of random dollar amounts. For example: “$50…$220…$100…$1,000…” and so on. The audio will eventually conclude at a different dollar amount each time Beat the Buzzer is played. As the pre-recorded announcement is heard, a Contestant will have the option to say “Stop” when they hear the dollar amount that they wish to claim. When the Contestant says “Stop” they win the Cash Value that was last mentioned or when a “buzzer sound” sound effect is heard, this will signal the end of the Game for the Contestant. If the “buzzer sound” effect is heard, the Contestant will not receive any prize. Once a Contestant says “Stop,” they may not later change their mind to continue the Game. Station is the sole judge in determining whether or not the Contestant successfully wins the Game. The Contest will automatically end on May 17, 2019 (regardless of amount awarded). Station is not responsible for any failure of a caller to reach the Station contest line including but not limited to busy phone lines, misdirected calls, equipment breakdowns, or disconnections. Calls will only be accepted at the designated phone number. At the time of entrant’s call, entrant will be required to provide all information requested including entrant’s full name, complete address (including zip code), day and evening phone numbers and date of birth in order to be eligible to win. P.O. Boxes are not permitted. In the event that the selected caller is disconnected or is found to be ineligible, the next eligible caller who successfully makes it through on the call-in line and completes the call will have the opportunity to play the Game. There is no limit to the number of times a listener may attempt to call in to win, but a listener may be a winner only once. 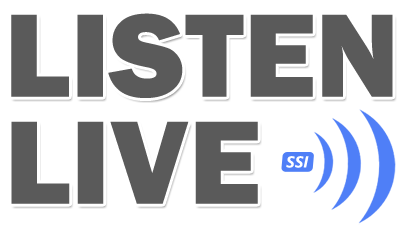 This Contest is open to all Station listeners who are 18 years of age or older as of the date of entry into the Contest, who are legal US residents and reside in Maine and New Hampshire, except where prohibited by law. Winners must possess a valid, government-issued ID and show proof of residency to verify eligibility. Up to eighty (80) prizes may be awarded, based on the number of Contestant who successfully win a Prize by playing the Game outlined above. The total value of Prizes awarded will not exceed eight thousand dollars ($8,000). Each Prize value will vary based on the result of the Contestant’s Game and will have an Approximate Retail Value (“ARV”) between $5.00 and $1,500. Prize will be awarded in the form of a company check issued in the name of the winner. No check will be awarded, processed or mailed until winner has claimed the prize at the Station, presented all required documentation, and signed all required releases and tax forms. Prizes or prize certificates must be claimed at the office of the Station located at 89 Mussey Road, Ste. 100, Scarborough, ME 04074, Monday-Friday, during regular business hours. Prize or prize certificate must be claimed within thirty (30) days of winning. Failure to claim Prize by the specified time will result in forfeiture of the prize. It is the winner’s sole responsibility to claim the Prize or prize certificate within the timeline provided in these Official Rules. Up to eighty (80) winners may be selected and notified on-air as described above. Odds of winning depend in part upon the number and order of calls received. Entrants must listen to the Station but do not need to be present to enter or win. Each winner must confirm acceptance of prize within twenty-four (24) hours of winning, or risk disqualification and an alternate winner will not be selected. The Station reserves the right to end any contest or amend these rules upon announcement on air and by publication at www.hot1047maine.com. Copies of the written Contest rules and a list of all winners are available during regular business hours at the main studio of the Station, 89 Mussey Road, Ste. 100, Scarborough, ME 04074, or by sending a self-addressed, stamped envelope to the Station. The following are the standard rules governing all contests broadcast on Hot 104.7 FM, WHTP, owned by Mainestream Media, LLC and based in Kennebunkport, Maine, or through its website www.hot1047maine.com and related stream players (all of the foregoing collectively referred to herein as “Hot 104.7”), unless otherwise specified. No purchase is necessary to enter any Hot 104.7 contest. Odds of winning will depend on the number of qualified entries. By participating in the contest or accepting or utilizing any prize, you agree to these rules. To be eligible to win any prize through Hot 104.7 you must not have won anything through Hot 104.7 in the past thirty (30) days or won any prize through Hot 104.7 valued at six hundred dollars ($600) or more in the past six (6) months. Only one (1) winner per household is permitted within thirty (30) days after a household has a winner. Any prize awarded to an ineligible person will be deemed null and void, and an alternate eligible winner may be named. Anytime you call Hot 104.7 you assume that your call will be broadcast or recorded and you grant Hot 104.7 permission to broadcast or webcast the call or record it for later broadcast or webcast and you waive any claims to royalties, rights, compensation, damages or remuneration for such use. As a winner of a Hot 104.7 contest your voice, name, likeness, character and/or picture may be used for promotional, broadcast, webcast or Internet purposes and you waive any claims to royalties, rights, compensation, damages or remuneration for such use. All winners and prize recipients must sign a release agreement to accept a prize. Prizes awarded are not redeemable for cash. No prize is transferable. No substitution for a prize will be made at the request of winner. Hot 104.7 reserves the right to substitute a prize of similar value for any reason and at its sole discretion. Inability to accept or deliver a prize will result in forfeiture. All contest winners are responsible for all taxes on prizes awarded. 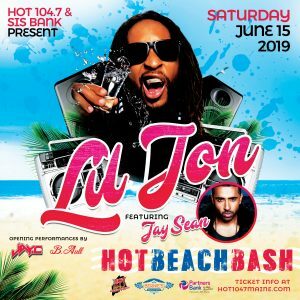 All winners of a prize valued at six hundred dollars ($600) or more will be required to complete the appropriate tax forms at the Hot 104.7 studio prior to claiming any prize. All winners will be sent a 1099-MISC federal tax form if in one (1) calendar year the prize value of all prizes won exceeds six hundred dollars ($600). Any valuation of a prize is based on information provided to Hot 104.7 and shall be determined in Hot 104.7’s discretion. If a prize includes travel, lodging, entertainment, special events, an automobile or other transportation, the winner(s) is responsible for all taxes, expenses, tags, title, licensing and registration fees and gratuities not expressly included in and as part of the prize. Winners agree to all blackout periods, space availability requirements, etc., as stated by Hot 104.7 and contest prize partners, which shall include hotels, airlines, train travel, ship/boat travel, etc. Each winner and prize recipient agrees that by traveling in connection with a prize from Hot 104.7 they do so on their own initiative, risk and liability. Hot 104.7 does not warrant any of the products, materials, or services that a winner receives. The materials, services or products that a winner receives are provided “as is”. In the event the winner is subject to, or the subject of, any order or legal process issued by any governmental agency having jurisdiction over the affairs of the winner (i.e. garnishment, child support order, judgment, lien, and the like), Hot 104.7’s delivery of the prize to the official representative of the governmental entity claiming a right to the prize shall be thus deemed as Hot 104.7 awarding the prize to the winner. Hot 104.7 shall be entitled to rely in good faith, upon any documents presented by the representative seeking to collect the prize in lieu of the winner. Hot 104.7 shall not be liable for any claim by any contestant or winner for damages incidental thereto. All Hot 104.7 contests are open to all eligible residents of Maine eighteen (18) years or over (unless otherwise specified). Participants and winners must be U.S. residents and use their true, legal name. In the event a contest is open to minors it shall be for minors aged thirteen (13) or older, and a parent or guardian of any participant who is a minor must sign a release on behalf of the minor to be eligible to receive a prize, however, Hot 104.7 reserves the right to refuse a prize to any minor. Contestants must possess a valid form of identification bearing the picture of the contestant acceptable to Hot 104.7 that will be presented to Hot 104.7 and accepted before the prize is awarded. Employees and interns of Hot 104.7, Hot 104.7’s advertising agencies, affiliates, contest sponsors, employees and the immediate family of each of the foregoing, as well as employees of all radio stations within a one hundred (100) mile radius of the Hot 104.7 main studio at 89 Mussey Road, Suite 100, Scarborough, Maine 04074, are not eligible to win any contest. The term “immediate family” includes spouses, great-grandparents, grandparents, parents, brothers, sisters, children, grandchildren, and great-grandchildren, in-laws by current or past marriage, adopted family, and wards. 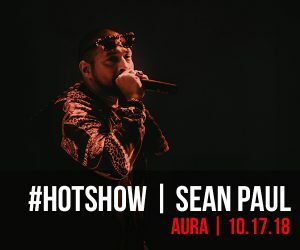 Winners will be expected to claim all prizes at the Hot 104.7 studio located at 89 Mussey Road, Suite 100, Scarborough, Maine 04074 between 9am – 5pm, Monday through Friday (excluding holidays) within thirty (30) days of being notified that they are winners, unless there is an expiration date or earlier event date on the prize, which will be specifically stated. Unclaimed prizes will be forfeited. Hot 104.7 reserves the right to disqualify any winner if any contest rules are violated in any way, or if Hot 104.7 determines, in its sole discretion, the winner tampered with the entry process, the operation of the contest, or acted in a non-sportsmanlike or disruptive manner, or with the intent to annoy, abuse, threaten or harass any other person or interfere in any manner with any aspect of the contest. If a winner cannot be timely contacted by Hot 104.7 or is disqualified for any reason, Hot 104.7 reserves the right to determine an alternate winner or not to award that winner’s prize, in its sole discretion. Hot 104.7 assumes no liability for situations, repairs, or incidents arising from any aspect of any prize awarded in any contest. The winner shall bear all risk of loss or damage to his/her prize after it has been delivered. Hot 104.7, their advertising agencies, affiliates, contest sponsors, officers, members, employees, agents and immediate family of each absolve themselves and shall be held harmless from any action or liability arising from any contest or prize awarded in any contest. Contest participants and winners, on their own behalf and on behalf of their heirs, successors, representatives and/or assigns, hereby fully and forever remise, release and discharge Hot 104.7and Hot 104.7’s affiliates, successors, assigns, and their respective directors, members, stockholders, officers, employees and agents of and from any and all claims, demands, agreements, contracts, covenants, actions, suits, causes of action, obligations, controversies, debts, costs, expenses, accounts, damages, judgments, losses and liabilities, of whatsoever kind or nature, in law, equity, or otherwise, whether known or unknown, whether concealed or hidden, which against it or any of it, they have had, may have had or now have, or which any of their heirs, representatives and assigns hereafter can, shall or may have for or by reason of any matter, cause or thing whatsoever, including but not in any respect limiting the generality of the foregoing, any and all claims which or might have asserted relating to the contest. All participants and winners indemnify and hold forever harmless Hot 104.7 and each of Hot 104.7’s respective agencies, agents, officers, members, employees, affiliates, and assigns, for any injuries, accidents, misfortunes, losses, damages, or causes of action, arising from or in connection with participation in the contest and/or acceptance or use of any prize. Hot 104.7 reserves the right to interrupt, end or modify a contest or promotion at any time (and not award the offered prize) and to amend the rules to any contest at any time, and to do all of the foregoing without additional notice or compensation. For any contest requiring phone entry you must use only the following number unless otherwise specified: 207-807-1104. Hot 104.7 has the final and indisputable decision as to who is the winner. Any ties, disputes, conflicts, or questions regarding any contest or prize is subject to the sole discretion of Hot 104.7. Hot 104.7 shall have no responsibility for contestants’ inability or failure to participate, failure to win or claim any prize based on busy signals, inadvertent disconnection, malfunction or difficulties with telephone, cell phone, texting, email, or Internet access, or any other circumstances in any contest beyond Hot 104.7’s control. Hot 104.7 disclaims all liability for any delays, loss or failure in the delivery of any item sent by mail, courier, express, electronic transmission, or other delivery method. Hot 104.7 is not responsible for mechanical, technical, electronic, communications, telephone, computer, hardware or software malfunctions or failures of any kind. If a contest is a call-in to win contest and/or a telephone is needed to participate in the contest, participants are restricted to the use of ordinary telephone equipment. Participants that enable the “caller ID” block function will not be allowed to participate unless they enter their correct area code and telephone number if prompted or disable the features inhibiting their participation in the contest. In the event two (2) individuals with the same name participate, only the individual who is verified by a home address that identically matches the information on the entry drawn or selected by Hot 104.7 shall be the winner. b. To win a prize you must reside within the listening area of Hot 104.7 as defined at the exclusive discretion of Hot 104.7.
c. Any problems with the Internet or email are not Hot 104.7’s responsibility. d. Contestants who register to participate on Hot 104.7’s website may be required to produce a printed copy of proof of registration before being allowed to participate in the contest. e. Due to the nature of Hot 104.7’s programs that are heard over the Internet, contests may not be heard at all, or may be delayed from the time the contests are heard on the radio broadcast station, and will be running behind the radio broadcast signal. Therefore, when Hot 104.7 contests are played that require a specific caller to telephone the radio station (such as “Caller number 10”), Internet listeners may be at a disadvantage in participating over those listeners who hear the contests through the radio broadcast signal. In no event will Hot 104.7 or any sponsors, participating promotional companies or prize providers or their respective parents, affiliates, subsidiaries, and related companies, their advertising or promotion agencies or their respective officers, directors, members, employees, representatives, agents, successors and assigns be liable for any damages or losses of any kind, including, without limitation, direct, indirect, incidental, consequential, or punitive damages. 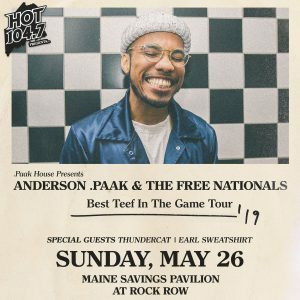 For the name of the winner, send a self-addressed stamped envelope, postmarked by the date that is thirty (30) days after the contest ended to “Hot 104.7 Winner’s List”, at 89 Mussey Road, Suite 100, Scarborough, Maine 04074. A copy of these rules are available during normal business hours at the Hot 104.7 studio at 89 Mussey Road, Suite 100, Scarborough, Maine 04074.